A short while back I found out about a gent who drives around the village every Saturday with locally grown veggies to sell to us “locals”. What a treasure chest he has in his trailer! 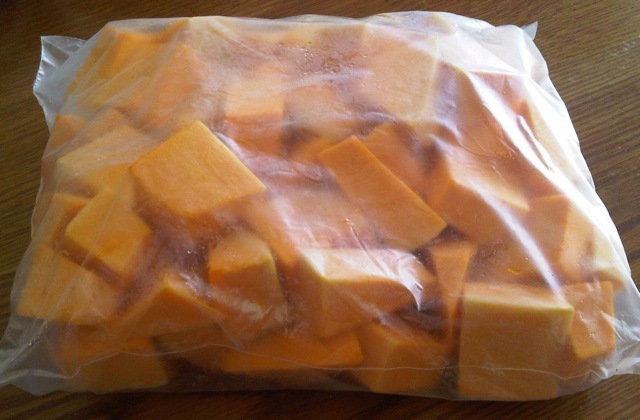 Everything is washed and what can be peeled and cut up are all nicely packaged and sealed in bags. I was very excited to hear that everything has a standard price of just R10 a bag. I went a touch overboard and Pete was a little concerned about the amount of veggies he was going to eat. I would have purchased a lot more but I had just been into town the day before and had already bought potatoes, onions, carrots, tomatoes and a few other goodies. I am very excited to see what he will bring every Saturday. I have my shopping basket ready and waiting. On chatting with this lovely farmer, he can also arrange a whole lamb at just R45 a kilo! Mutton at R35 a kilo and chicken, which I forgot the price of. Not to worry he will be back on Saturday and I can check with him then. 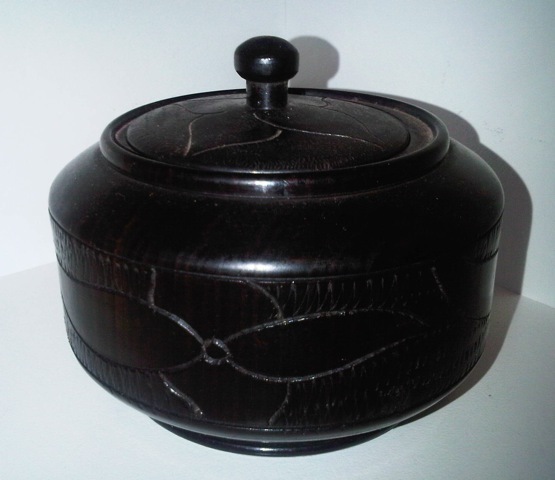 and my beautiful ebony wood sugar bowl from Zanzibar which strangely enough has a bullet in it. What’s in your kitchen this month? 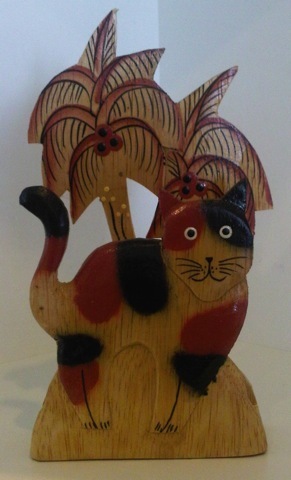 Please link back to Celia’s blog Fig Jam and Lime Cordial if you partake in the fun. This entry was posted in Daily Blog and tagged broccoli, cauliflower, Food, In my kitchen, Ingredients, pumpkin, sweet potatoes, The Complete Cook Book by thecompletebook. Bookmark the permalink. Hi Mandy! 🙂 I’m kind of curious how those ingredients are gonna be used in your kitchen. hmmm.. And sweet potato pie sounds delicious! I just wrote my draft to post this afternoon and also mentioned how time has flown. I want to ask about the bullet, there must be a story? just interested (especially in the mutton prices you mentioned) can you say exactly where this village of yours is situated.- maybe we could take a drive out there for those beautiful vegies too. 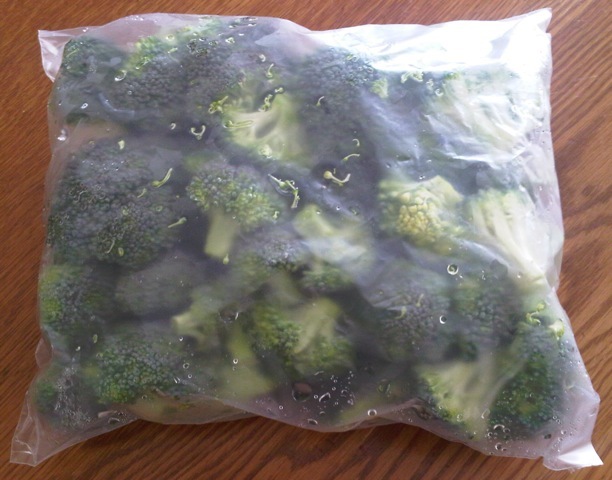 What a wonderful idea…everything packaged and ready for the freezer or fridge. Look forward to the sweet potato pie recipe! Have a great day! PUMPKINS ;-)) and pears, cabbages..just had lunch with some cabbages (that my husband dislikes to the core)…sighs. How fun to see what you have- I am wishing I was like you and had those amazing veggies on hand, especially those potatoes! YUM! That sugar bowl is too darn cute- wonder how it got that bullet? Hum…. Looks like all the makings for a great meal. I have some beautiful pears, apples and a few more tomatoes. Produce delivered to your door – how awesome is that!!! A real bullet? how cool is that… (I think you should make up a story if there isn’t one :)) Did you prepare the bags of veggies yourself or buy them like that? – love that they are all set to go… so wonderfully convenient. This “in my kitchen” is fun game! We can see and imagine what your kitchen is like…..a place where you make wonderful food! I love the unique sugar bowl and it stands out really well. 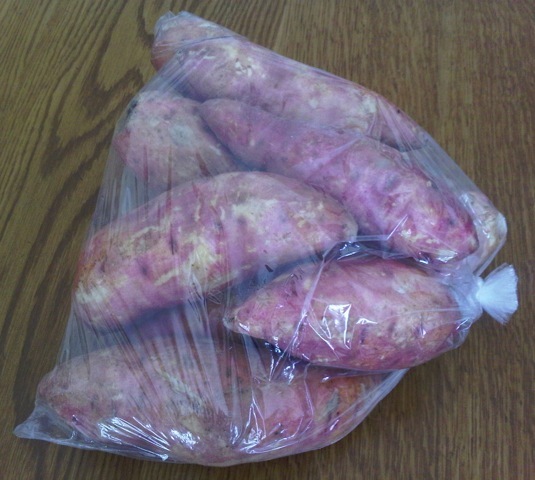 And sweet potatoes…my fav! 🙂 Have a great week Mandy! What a find! I would love to have some nice local farmer come by with his goods. But I live in the suburbs of Los Angeles and I won’t hold my breath. I LoooOVE what’s in your kitchen. I’ll be right over for some sweet pie when you make some :))) X Can’t wait. send the vegie man my way please! Ah my favourite snooping time of the month! The bullet? How did you get it back through customs from Zanzibar? This is so fun! I love having a frig of veggies; kinda like an artist’s pallette just awaiting a creative inspiration to pull together a fabulous dish! That’s some service having your veggies arrive all prepped and ready to go! This is a great idea. It’s so fun to work with ingredients you have in the fridge and pantry. I’m always up for the challenge. 🙂 Can’t wait to see what you make! Farm-fresh produce delivered weekly to your door, cleaned, trimmed, & bagged. You simply cannot ask for a better arrangement. How lucky for you! I am jealous of that gorgeous broccoli…my favorite veg. I love to roast it in the oven, with cauliflower too sometimes. Just toss in good olive oil, salt and pepper and roast it stirring once or twice until starting to brown…gives it a lovely nutty taste. Great blog…my first time here! Such wealth – a fridge full of fresh veggies! 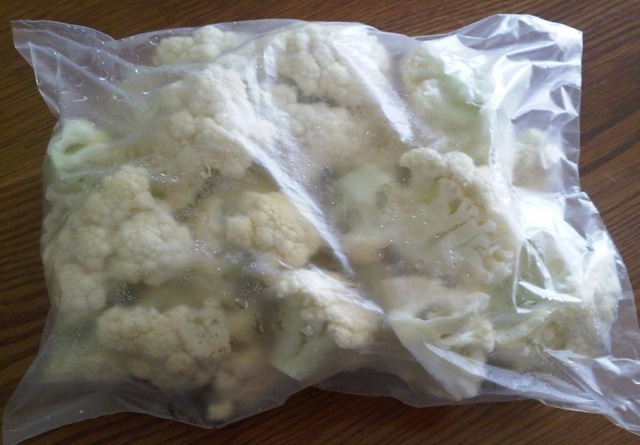 One of my favourite ways with cauliflower is roasting them – arrange the florets in a dish, sprinkle with curry powder and olive oil, cover with tinfoil, roast for about 20 minutes, remove the tinfoil and roast til slightly crispy and brown – YUM!!!! Do you do that too?